This entry was posted in Homeowners Insurance on 06/28/2016 by admin. Although the word “earthquake” is typically associated with California, homeowners in Texas are now also feeling the ground shake. In certain areas within the state, customers of Texas homeowners insurance companies have been experiencing a troubling rise in the frequency of earthquakes in their own backyards. However, the tremblers may not be a direct result of Mother Nature, but due to a process of the hydraulic fracturing of rock formations in search for natural gas deposits in new and existing oil and gas wells. The activity, known as “fracking”, is being blamed for the extensive increase of tremors in the state as well as damage to numerous homes. Problem is – the Texas insurance industry and the various energy companies, who are engaging in the fracking, can’t seem to agree on what is causing the quakes. Therefore, if the shaking ground results from the fracking and not from natural causes, coverage for damages may not automatically be provided by their homeowner’s insurance companies, leaving policyholders out on a limb to figure out their next move. While Texas insurance companies are facing more and more claims from “frack quakes”, many homeowners are discovering that their policies won’t cover the damages. Case in point – one Texas couple has experienced well over 30 earthquakes since early November 2013. The strongest of the quakes caused a splintered window, cracked exterior wall, and fractures to all three toilet fixtures, and none of the damage was covered by their homeowners insurance policy. The reason given by the insurer for denying the claim was that the quakes were man-made. 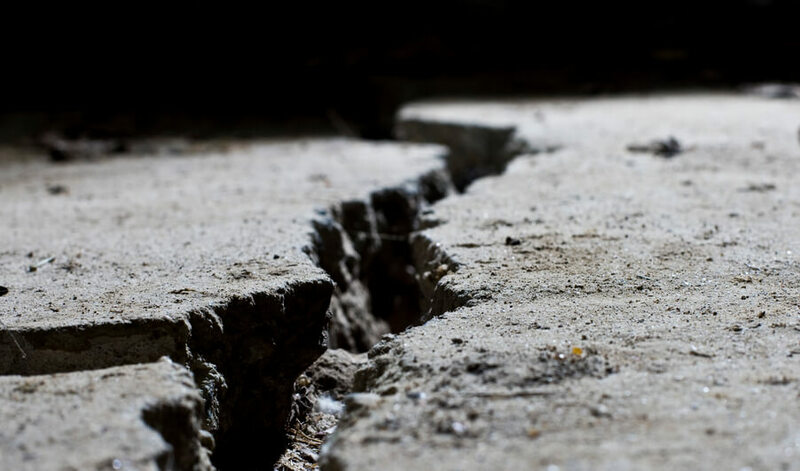 Homeowners are becoming increasingly frustrated at being denied claims, as some areas have reported over 300 seismic events in the same period since November 2013. But, energy companies insist that there is no direct connection between the fracking wells and the earthquakes. They go on to stress the fact that there is inadequate proof that the activity of hydraulic fracking for natural gas will inevitably lead to more tremblers. Still, the Texas Alliance of Energy Producers has created a task force to look into the matter by examining the wells that are experiencing the quakes. Thus far, the earthquakes have been relatively small by California standards – under a 4.0 magnitude – and, generally, they haven’t been powerful enough to cause any major damage. Nonetheless, their sudden occurrence can lead to frayed nerves, not to mention draw the concern and attention of state leaders, resulting in the hiring of a seismologist by the Texas Railroad Commission, the organization that oversees the gas and oil industry in the state, to study the activity. In May of this year, Texas legislators held a House Subcommittee meeting focused on the growing seriousness of the seismic activity alleged to be associated with fracking. They heard from affected residents who testified of gaping sinkholes in fields, cracked ceilings and splintered windows that they believe are related to the tremors. Natural quakes are quite rare in Texas, according to the University of Texas Institute of Geophysics; at least they were until they began occurring at an alarming rate in 2008, when the hydraulic fracturing for natural gas started in the Dallas-Fort Worth region. Because the Texas insurance industry and the energy companies are currently unable to come to a mutual agreement, proving the earthquakes are caused by the fracking will remain difficult at best. And, since a great deal of money is at stake on both sides, the denials and finger-pointing could go on for quite some time at the expense of state homeowners. In the meanwhile, you can still save money by making sure you’re getting the best rate on your homeowners insurance. Why not get a free homeowners insurance quote today? Have you filed a homeowners insurance claim because of the damage caused by frack quakes that was paid? Feel free to share your thoughts in the comments section below.